Fascinations Illuminated Ant Works | BUDK.com - Knives & Swords At The Lowest Prices! 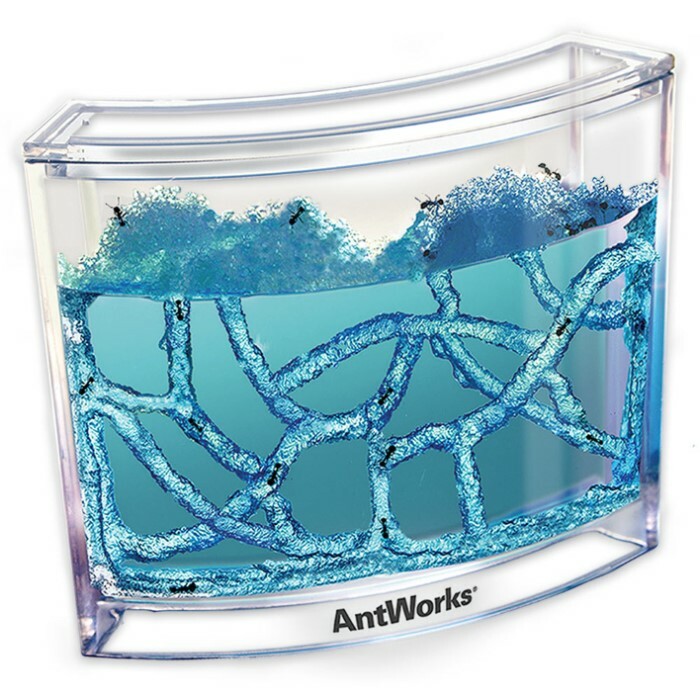 This is not your father’s ant farm! 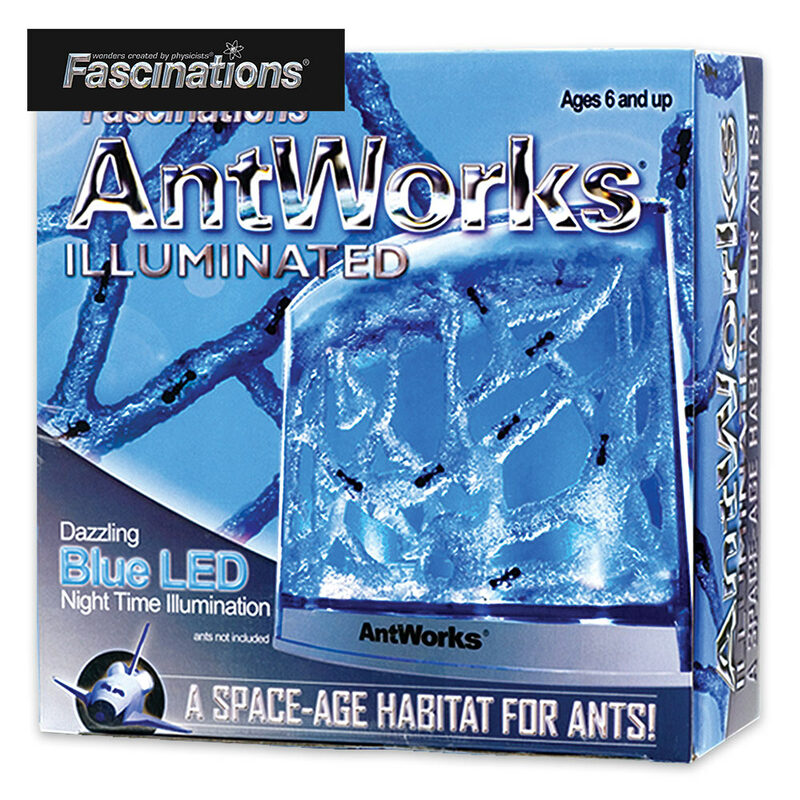 The Illuminated Ant Works by Fascinations will provide hours and hours of entertainment for your family as they watch the busy, everyday life of these industrious little bugs. 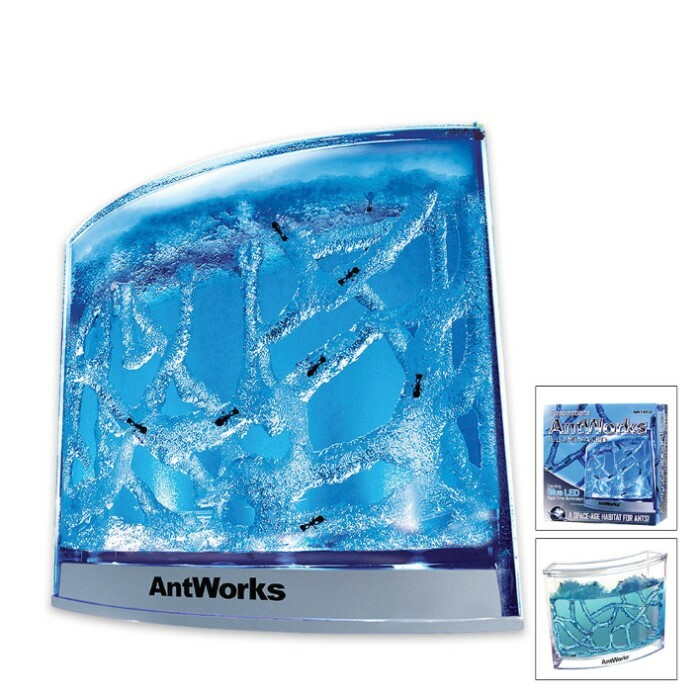 The clear acrylic habitat features a base with 4 LED lights that illuminate the gel for optimal viewing. The light is actually so bright that the ants cast shadows as they walk over the beams! The package includes a magnifying glass, extreme zoom lens and tunnel starter tool. It also includes an instruction booklet with ant order form.